Strawberry & Banana Smoothie for this Strawberry Season! It's Strawberry Season! 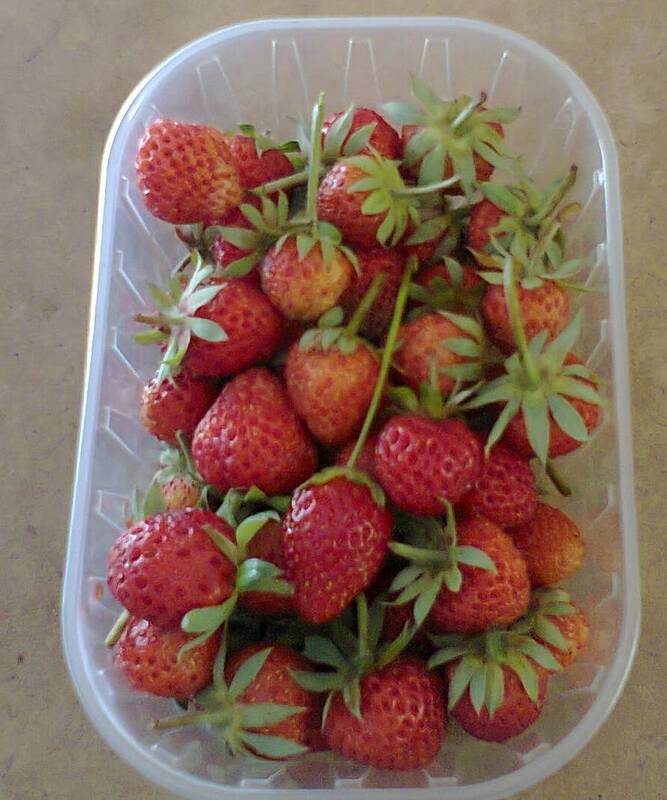 I'm very excited because my mum has being doing some Strawberry Farming and they have fruited, yay!! 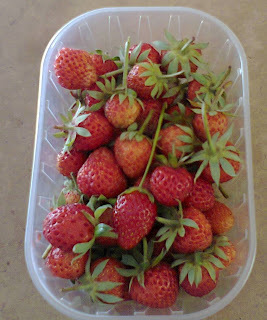 Strawberries straight from the farm! 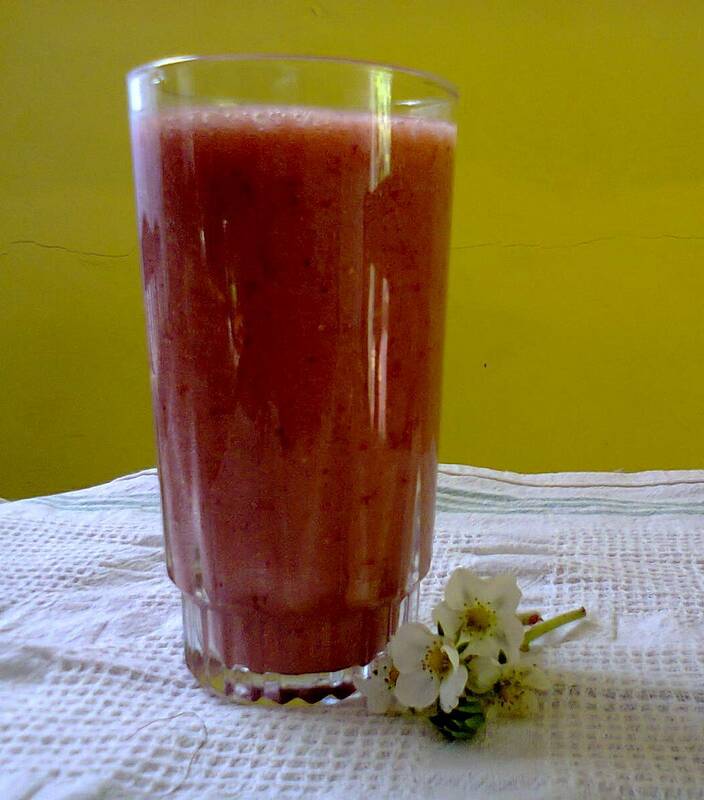 So lot's of Strawberry smoothies & Strawberry baked products. 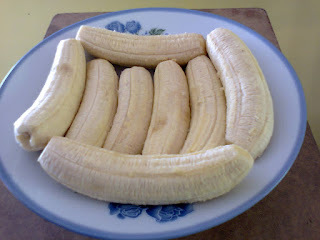 We might add them to the Amari Quickbreads Bakery Products menu, we'll see ^_^! Well, here is a Strawberry & Banana smoothie. 1.) Wash the strawberries and set them aside. 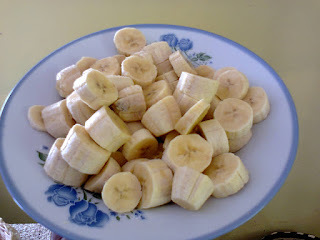 Peel the ripe bananas and set them aside as well. 2.) Chop the ripe bananas and set them aside on a plate. 3.) Put the water, strawberries, ripe bananas & sugar (or honey) in a blender and blend for 5 to 8 minutes. 4.) Pour into a glass and enjoy! 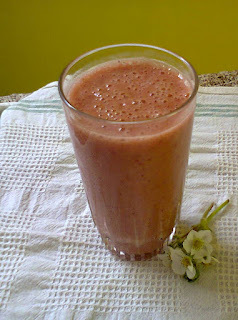 The smoothie was truly delicious...mmm good. 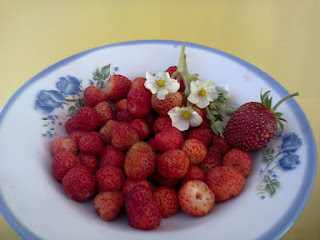 Get some strawberries and enjoy ^_^!